This whole month retreat is the 1st one given in Europe !! It will be bilingual French / English. Professor Xi knows that it is not easy in our contemporary life to release 1 whole month to come to learn the techniques of Zhineng Qigong. Thus, it offers you great flexibility so that you can adapt your schedule to this retreat. You can participate in the choice at 1, 2, 3 or 4 weeks. You can follow 1 week, go back home and come back in 3rd or 4th week, etc ... Professor Xi will do his best so that everyone can come and get what he / she can. Each Sunday being a day off, your participation is from Monday morning 7am to Saturday late afternoon 18h. Validation of the one-month training will only be given to participants who have attended the 24-day training. To register, please print and fill out the registration form below and send it by post to: S.A.S. Rire Au Soleil Zen, 161 Henry Dunant Avenue, Le Floréal, 06100 Nice. Your registration will be taken into account only if it is accompanied by the full payment of the retreat or 30% of the total amount valid for a deposit. The full amount of the retreat must be paid in full before May 1, 2019 otherwise your registration will be considered canceled. Please read the GTC before you commit. By bank transfer: IBAN: FR76 1009 6180 8400 0224 3520 194 Holder: S.A.S. Rire Au Soleil Zen. It is possible to stagger your payment, thank you to contact us via the contact tab of this site for any request. People who register a group (particularly Qigong teachers) will be able to benefit from a special rate. Contact us to know the conditions. Isola is a small village nestled in the heart of the Alpes d'Azur. Located at a little over 700 meters above sea level, the surrounding peaks exceed 200 meters and offer splendid scenery for our stays. It combines the bucolic calm of the hinterland of Nice, the fresh air of the Alps and the variety of intrepid wildlife and abundant wild flora. 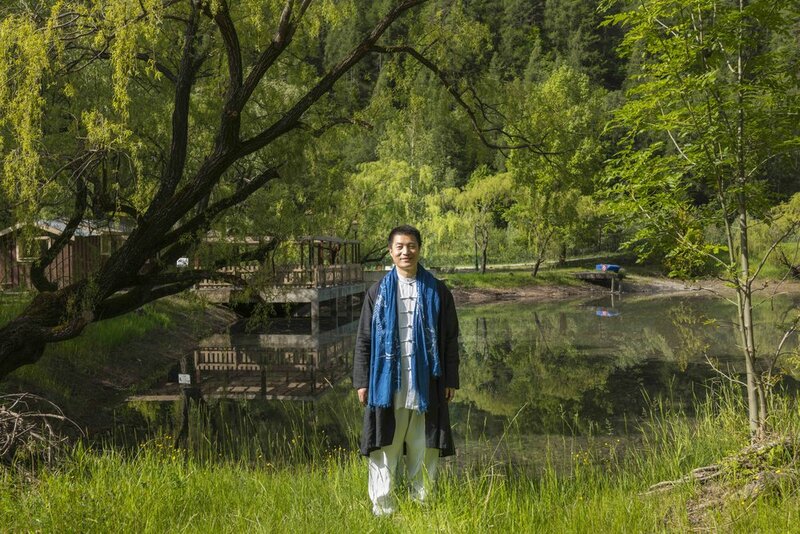 In addition to the intensity of the practices proposed by Prof. Xi and the depth of his teachings, you will also appreciate the sumptuous surroundings of Isola which will offer you magnificent ballads on the mountainside, on the ridges in height or at the edge of the river. For more details, please refer to the map "Google Maps" proposed at the bottom of this page.